As winter strikes Ottawa, the city tends to get blanketed under a layer of snow. The town appears to be mesmerizing and stunningly beautiful, but at the same time, people residing here have a cause to worry about the drastic changes in weather. One of the problems faced during this season is the snowfall covering roads, buildings, pathways, in fact, everything exposed to the sky. Thus, one needs to know various useful features of the snow removing contractor or company before choosing anyone. There are various ways in which snow can be removed after a heavy snowfall. It is important to consider that the snow removing activity has to be executed with the utmost care and concern. It is so because there should not be any scope for a mishap or accidents while the snow removal in Ottawa procedure is going on. Thus, the following measures must be taken care of while removing the snow. 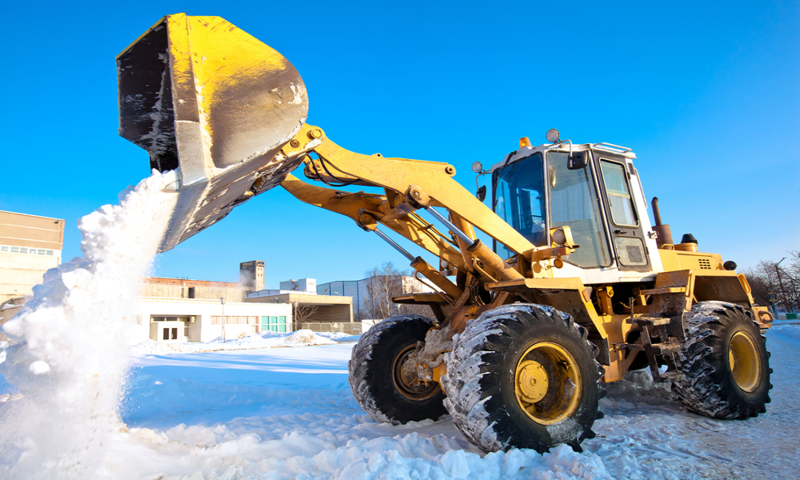 There are various types of heavy-duty machines that are used to blow the snow off the road. It is essential to inspect the machinery before the usage. It will help in ensuring any kind of damages to the machinery. The operation of this machinery must be carried forward with the help of a trained professional only. 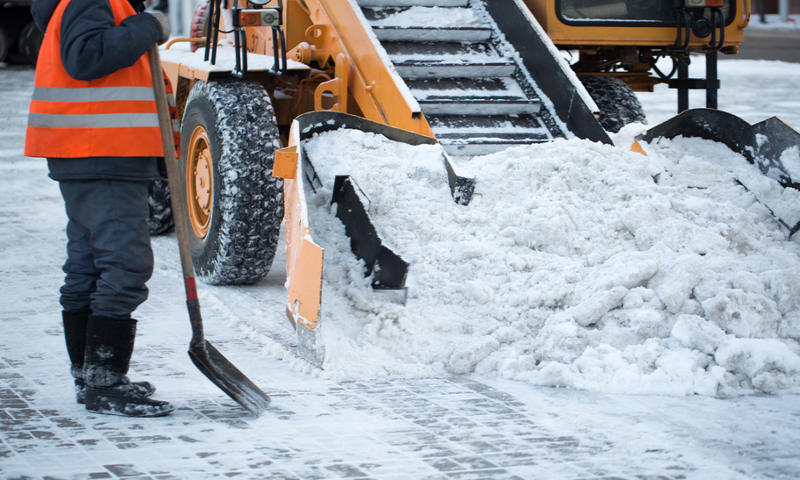 It is essential to ensure snow removal from the desired platform in the proper manner. Just removing the storm will not do any good. The snow must be stacked in the right way. If it is done in front of the entrances and exits of homes or the roadside pavements, then it might cause trouble to the people residing in the houses, and the passersby respectively. The person is who removing the snow must be dressed appropriately. The temperature after a snowfall is usually very low and inappropriate dressing might lead to illness. Heavy boots and a good pair of warm gloves with a woolen cap is a must wear. Murray Landscaping is a renowned and reputed company that offers high-end and highly professional snow removal services. It also happens to be one of the leading Ottawa Lawn Care Companies. When looking to create a verdant expanse of land surrounding your property, increasing its attractive looks and curb appeal, it is best to invest in high-rated landscaping services. The services include driveways designs, landscape designs, fence and deck installations, decorative plants and a lot more. Thus, irrespective of the scape and scope of the job, acquiring professional services can bring a sea difference to the job. Just a simple task of maintaining a beautiful backyard can be accomplished in no time with expert landscapers at the job. They have the necessary expertise and skills required to achieve the job efficiently and effectively. They carry the right equipment and tools needed for the job. Thus, when seeking these services, homeowners need not worry about the overall look of their home and its fantastic landscape as they have experts to help them. Winters in Ottawa bring a lot of tension to the people residing in that place. The people are seen stressing about the snow that falls overnight or during the daytime and block all the ways. Unwanted snowfall tends to make people grounded in their homes. There is no escape for the people to leave the place. There are times when a person is required to move out of their area of stay but are not able to go. It is due to the unknown snowfall that took place. If a people were well known about a snowfall, then he or she would have made the concerned steps to ensure that the snow does not cause any disturbance. The residential snow removal Ottawa will be the best service for such sudden snowfall. One can follow these steps and measures in case they require blowing off the snow in the case of an emergency. Investing in a snow blower will be a great deal. Do not use it at a fast pace. The snow blower must be used at a steady pace of working. The snow must be blown in the direction of the wind by the fan. The snow must be swept in a well-thought direction. It must not be flown against the house. It might lead to flooding later. One must not overdo the shovel with snow to avoid unforeseen injuries. One must break the ice first, and then remove the snow with the help of shovel. If a person is required to remove the snow with a snow shovel, then the storm must not be rest for a much longer time. Especially if it is wet, then the snow must be removed right away. As winter strikes Ottawa, people tend to get worried due to the drastic changes in weather. One of the major problems faced during this season is the snowfall. The view of snowfall is indeed a mesmerizing look, but it brings a lot of issues with it. Thus, one needs to know various useful features of the snow removing contractor or company before choosing anyone. The contractor for the snow removal must have a full-fledged program of action to remove the snow. The snow removal Ottawa contractors must be very well interactive with their snow removal plan. The plan must include the measures which will not cause any harm to the property. One of the primary ways of removing snow is with the help of salt. The salt, when sprinkled on the snow, leads to the melting of snow. Thus, the snow removal Ottawa contractors must be able to provide ample of salt for this purpose. It is one of the basic needs that must be fulfilled by a good snow removal company. Snow plowing machine and a shovel must be a part of the contractor’s equipment kit. The contractor must be fully equipped with all sorts of devices required to blow and remove the snow from different places. The gears must be handled by experienced and trained officers so that there are no chances of any misleading and false activities. Murray Lawn and Landscape, one of the renowned Ottawa lawn care companies also offer snow removal solutions making life easier for you even when experiencing the worst snowfall of the year. Nowadays, people do not think twice before buying expensive winter wears such as coats, gloves, and other garments to keep their loved ones from the hazardous winter effects. But what about your property! 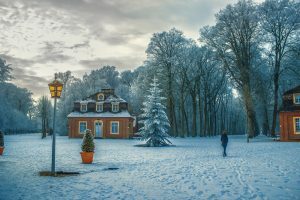 Is your home ready for winters? The harsh climates and unfavorable weather condition during the winter season is the major reason why you should consider investing in property maintenance tips to avoid unnecessary damages to your belongings. For the best results, hire professional snow removal Ottawa services. Whether it is the heavy rainfall that is accompanied by the freezing climate or you reside in a region where snowfall isn’t a big deal, maintaining your gutters is an essential step to ensure the safety of your roof. It doesn’t take time for a clogged gutter to overflow and cause damage to the roof of your property. In such cases, you might either need to replace your roofing or fix the gutter. Either way, you are going to pay a hefty cost. Hence, make sure to keep a check on your gutter and drainage system every now and then. If you find any leakage or overflowing gutters, call the professional gutter cleaners right away and get the issue fixed before it deteriorates your entire roofing system. 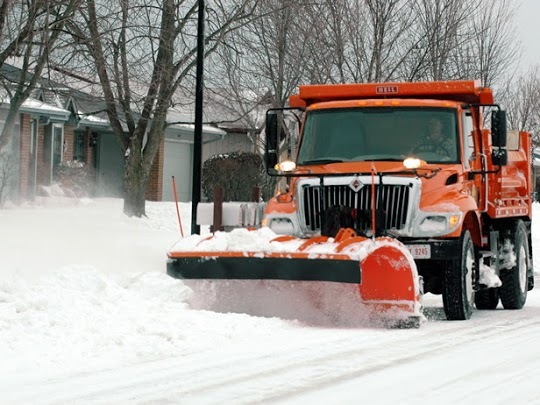 Get the most of reliable snow removal Ottawa services. With the freezing climate and heavy snowfall all over your place, the electrical system failure is probably the last thing you’ll want. Though checking the electrical system of your property isn’t a challenging task. It is advisable to call the electric inspection team and let them inspect your property thoroughly. If you are conducting an electrical inspection on your own, start with the multi-meter to observe the current power flow via the electrical circuit. Once done, check the wall sockets, wires, heating devices, and extension cords. If there’s an issue with the wiring or power flow of electricity, hire the professional electrician instantly (as this isn’t something you could attempt to fix on your own). Ice dams (most commonly develops at your roof’s edge) aren’t unusual in the snowy climate, especially when there is heavy snowfall in your region. However, Ice dams do not let the melting snow drain properly, causing the liquid to leak through your roof. Such water leakages are one of the major reasons for the ceiling, walls, and insulation damages to your property. The only way to avoid Ice dam formation is by maintaining the temperature at your roof same all throughout the winter season. Adding insulation and improving the ventilation system in your property could help you to keep the temperature at your roof stable. Do you observe any gap between the seals in your door while you close them? If yes, it is recommended to seal off the doors to prevent the access of cold air to your property. The leaky areas could be sealed using foam-tape which comes with sticky backing or the tubular rubber and silicone. Similarly, go through the windows and add new weather-stripping in the leaky areas. So have you prepared your property for this winter? Are you ready to face the winter storm? If not yet, what are you waiting for? Follow these home maintenance tips and don’t let the freezing climate cause damage to your property. 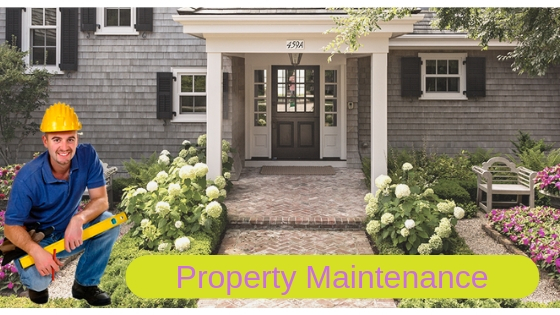 Get the most of reliable property maintenance Ottawa services. During winters, the formation of ice dams and snow is quite common that everyone can expect. 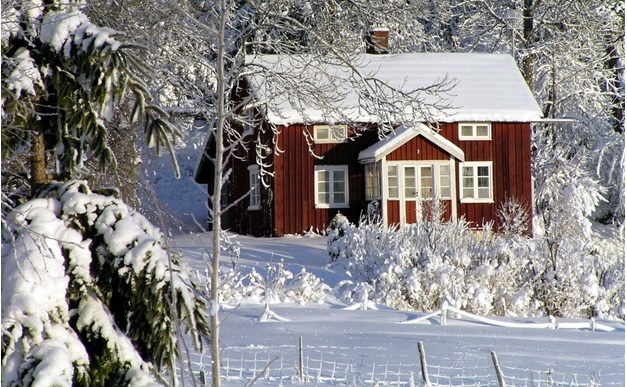 The most intimidating task for the majority of homeowners is to shovel excess snow during winters. There are numerous companies that offer the services of snow removal in Ottawa, but remember to choose the best one as it’s a matter of your property. Looking for some snow removal tips? If yes, let’s dive into the below-given snow removal tips that one can follow during cold chilly months. Happy Reading! Shoveling the snow throughout the cold winter season is a very intimidating task, particularly if you are not having high-quality shovels. Many people prefer buying cheap shovels since they think investing in shovels is just a wastage of money. But that’s not true! Invest enough funds on heavy aluminum or plastic blade shovels as it can make your task much easier. Remember, buying large shovels is not an ideal option as it can result in a backache and stiffness. Majority of people neglect to pay attention to this step while removing snow. It doesn’t matter whether you are removing excess snow from the roof of your house, from a floor or a driveway; you should, at any cost, evade piling snow nearby to the area of your home. Why? Since it can result in big issues like frozen pipes or can cause cracks inside your building. If you are suffering from health problems or might be some other reason and it’s not possible for you to shovel the snow this cold winter season then invest in a snow blower. It’s no doubt a good investment. Snowblower can remove snow in just a minute by saving your much time. These machines are actually available in various powers and can easily blow enough snow. Removing snow is similar to mowing a garden; you need to prepare how to run equipment for removing snow. Warm your entire body in order to prevent sudden injuries and make sure you dress in an appropriate manner. While lifting snow, make sure you keep the shovel blade nearby to the body. Change hands with time, in order to avoid strains on one side only. In order to make the process of picking snow easier, remember to shovel the top layer first and then carry on with the underneath layers. Get in touch with Murray Lawn and Landscape if you are looking for the services of snow removal in Ottawa as they offer quality snow removal services at reasonable prices.